Surgical education must constantly strive to keep pace with the most current methods of surgical practice. In recent years, laparoscopic surgery has completely revolutionized the field of surgery, forever changing the face of surgical practice. Over just a short period of time, its techniques have become so advanced and applications so vast that it has necessitated a dedicated emphasis in surgical education to focus on these distinct skills. 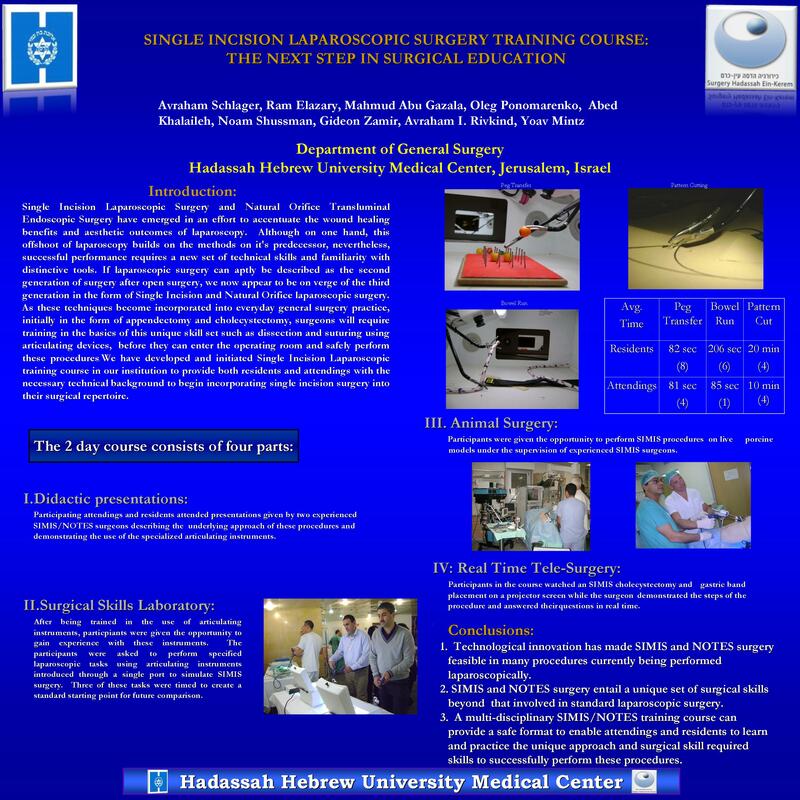 This training has been developed in the form of Fundamentals of Laparoscopic Surgery (FLS). More recently, Single Incision Laparoscopic Surgery (SILS) and Natural Orifice Transluminal Endoscopic Surgery(NOTES)havebeen developedin an effort to accentuate the wound healing beneftits and aesthetic outcomes of laparoscopy. Although on one hand, this offshoot of laparoscopy builds on the methods of its predecessor, nevertheless, successful performance requires a new set of technical skills and familiarity with its distinctive tools. If laparoscopic surgery can aptly be described as the second generation of surgery built on the principles of open surgery, we now appear to be on verge of the third generation in the form of Single Incision and Natural Orifice laparoscopic surgery. As these techniques become incorporated into everyday general surgery practice, surgeons will require dedicated training in the basic principles and techniques of this unique skill set before they can enter the operating room and safely perform these procedures. 2. Hand over Hand "running the bowel"
We believe it to be imperative to the safety of patients undergoing single incision and surgery that residents be adequately prepared and specifically trained in single incision surgery techniques before they encounter these procedures in the operating room. Although these skills can be learned over the course of time, use of single-incision trocars, articulating instruments, and altered visual angles can be challenging to the uninitiated. The Single Incision Laparoscopic Skills training provides the appropriate forum for trainees to gain comfort and experience with these techniques and devices in an escalating fashion, culminating in the performance of the actual procedure on an animal model. We will present our course methods, demonstrate single incision surgery training tasks as well as our specially designed endotrainer training box.